Another day at the office for these fishermen in Mauritius! A big smile is never far away in Mauritius! I chuckled when I discovered the actual quote. What a difference a few words can make! However, I can totally relate to Mark Twain’s experience with Mauritians; a warm, hospitable people with big smiles, who are rightfully proud of their island’s great beauty. For anyone visiting Mauritius, it soon becomes evident what this pride is rooted in. With its spectacular lagoons, blinding white beaches, lofty peaks, beautiful people and delicious cuisines, Mauritius easily ticks the boxes of anyone’s definition of paradise or heaven. My first visit to Mauritius was back in 2013 and I fell for its beauty and charm in an instant. My recent trip was no different. This time around, I spent a week in Mauritius exploring different parts of the island. It was a week of continuous amazement, great fun with my travel mates and the locals, and some of the most jaw-dropping accommodations I’ve ever stayed at! I flew direct from London Heathrow to Mauritius, a 12-hour flight with Air Mauritius, the premier airline of Mauritius. The Business Class seats were comfortable and the delicious food was a lovely introduction to Mauritian cuisine. I couldn’t wait to board the flight at London Heathrow! Air Mauritius Business Class food with Mauritian flavours. The scene was set as the plane approached the shores of this island in the Indian Ocean. 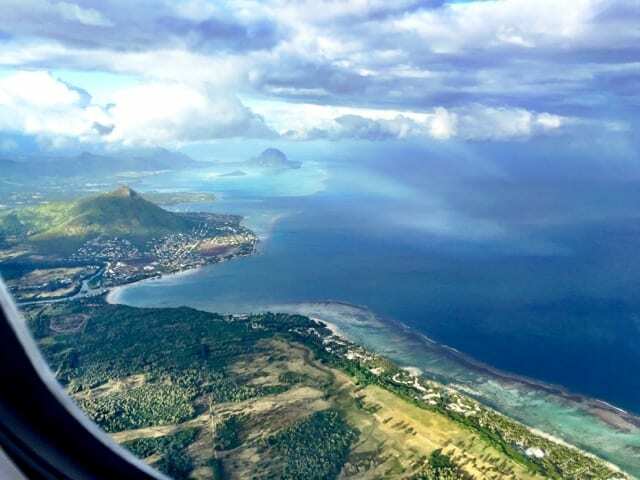 My first glimpse of Mauritius as the plane cleared the clouds. The Sir Seewoosagur Ramgoolam International Airport is the main gateway to Mauritius. After clearing customs at Mauritius’ modern, wave-like SSR International Airport, I was met by staff of Solis (a local tour operator) who introduced me to Judex, my driver and travel companion for the coming week. Judex was the perfect travel mate: an easy-going gentleman who turned out to be a walking encyclopedia of Mauritius! My travel mate Judex from Solis. From the airport, we drove past rolling, green hills, endless fields of sugar cane and small villages. The first thing I noticed was the island’s multi-ethnicity. As we passed a market, I saw people of Indian, Chinese, Malay, African, Creole and Caucasian backgrounds jostling at the stalls, and in the villages, mosques, churches and temples stood side-by-side. We soon arrived at my first accommodation: the gorgeous Shanti Maurice resort. Fringed by a broad arc of fine, white sand and a crystal-clear lagoon, the resort consists of a series of low-rise villas surrounded by beautifully-kept gardens. My spacious room had a large balcony which overlooked the infinity pool and the pristine beach. The first thing I did after checking-in was head for the Nira Spa, reputedly one of the best Spas on the island. It seemed like the best thing to do after the long flight… and it WAS! The holistic treatment was excellent and I felt re-energised! After a lovely lunch, I headed straight for the beach and stayed there till sunset! As I walked out into the lagoon and saw the little fish scurrying around my ankles in the crystal-clear water, I couldn’t help but sigh. It was like a dream to be back in Mauritius! A lunch with a stunning view! The amazing sunset that evening! That evening, I had dinner at the Rum Shed, tucked away in a corner of the sprawling Shanti Maurice. Modelled after a traditional Mauritian beach bar/restaurant, the Rum Shed is a cool place with a sandy floor, tasty cocktails and terrific local food. I experienced my first culinary highlight on the island at the Rum Shed bar and grill. The spicy crab soup and grilled fish were superb! The next day, I headed back to the Rum Shed where I joined a cooking course with Chef Willi who introduced me to the concept of Aquacasia, a collective name for the cuisines of the Indian Ocean. Chef Willi has spent lots of time traversing the Indian Ocean to collect recipes, from Indonesia to the Maldives and south to Madagascar and Mauritius. It was a fun, very informative course and I devoured the curry with some roti as soon as we were done! Me making a curry at the cooking class. Chef Willi explaining the finer points of Indian Ocean cuisine. Tucking into the curry we made. Delish! Judex picked me up in the afternoon for a drive to the La Vanille Nature Park. Along the way, we stopped at the historic St. Aubin Estate for a quick rum-tasting. The vanilla-rum was incredible and I bagged a bottle without hesitation! The historic St. Aubin Estate where guests can have a lovely meal and a rum-stating. We soon arrived at the La Vanille Nature Park, home to a big collection of giant tortoises and crocodiles. It was quite an experience to see the giant tortoises up close! Another attraction at the park is its extensive collection of butterflies and insects from around the world. 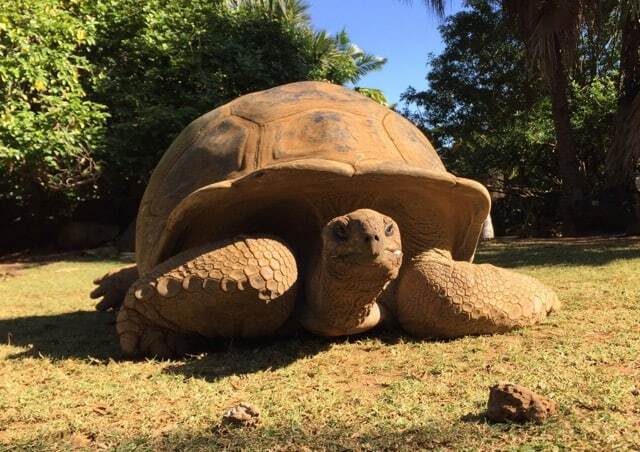 This giant tortoise is about a hundred-years-old! La Vanille houses an impressive collection of butterflies from around the world. I got back to the Shanti Maurice resort just in time for another jaw-dropping sunset! Another stunning sunset! This couple had front row seats with a glass of wine. Perfect! That evening, I made my way to the Beachcomber Dinarobin Hotel Golf and Spa for a dinner with my friends. We made our way down to the beach where a beautifully-decked table awaited us. 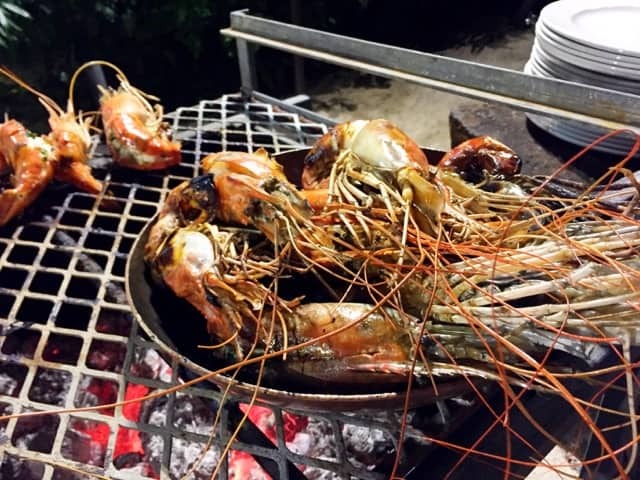 Two chefs stood over a roaring grill and prepared some of the best langoustines I’ve ever had! The grilled langoustines were superb! After dinner, we huddled around a massive campfire and simply gazed at the stars above and listened to the gentle sounds of the waves lapping on the beach. I sighed yet again! 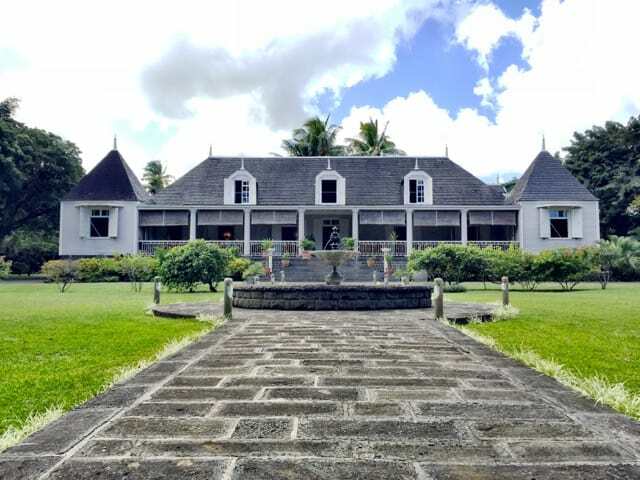 I checked out of the Shanti Maurice the next morning and, together with Judex, made our way along the south coast to the stunning Heritage Le Telfair Resort. The stunning pool at the Heritage Telfair resort. We were met by the lovely staff who led me and my travel mates to a tough-looking buggy. The Heritage Resorts are located on a huge swathe of land (2,500 hectares to be precise!) from the beach right up to the verdant hills of the Frédérica Nature Reserve. This morning, we were on for something I’ve never done before: a yoga session in the jungle! We were introduced to our yogi before hopping into the buggy. 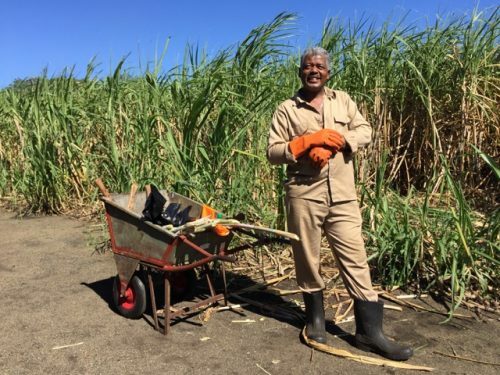 The ride up into the mountains led us past sugar cane fields and into a thick jungle with a gushing river and gurgling streams. We soon arrived at a clearing next to the river and we laid out our mats on the soft grass. The soothing sound of the little cascades and chirping crickets accompanied us as we were led through different asanas (yoga poses). It was a wonderful experience interrupted by the occasional mosquito attack though our yogi seemed totally oblivious to the mosquitoes. I made a quick mental note: perhaps I should take up yoga if it helps ward off mosquitoes! 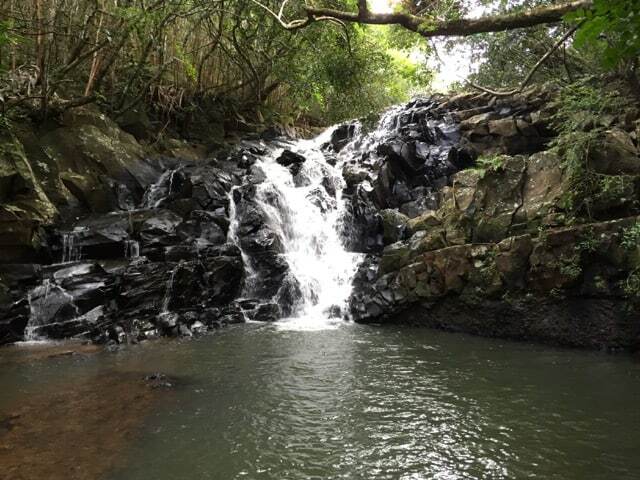 The yoga session was followed by a short hike to a beautiful waterfall. I kicked myself for not bringing my swim shorts as the water looked so inviting! I changed my mind about that as soon as I stuck my hand into the icy-cold water! Haha! That waterfall looked so inviting! We continued in the buggy further up into the mountains where we spotted some deer and were treated to panoramic views of the coast before heading back to the resort for a lovely lunch on the beach. I gazed at the bright azure lagoon as I munched on my salad and sipped on a cold beer. Everything looked so surreal! I pinched myself and murmured, “Yep, you’re in paradise!”. Gazing at the gorgeous view of the hills and the coast from the Frédérica Nature Reserve. After lunch, Judex and I continued on our journey along the south coast and up the east coast. The scenery along the southeast coast was especially striking. We passed sleepy villages and skirted beautiful lagoons backed by the jagged peaks of imposing mountains. Ladies working in their vegetable garden. OMG! I don’t want to ever leave this place!!! 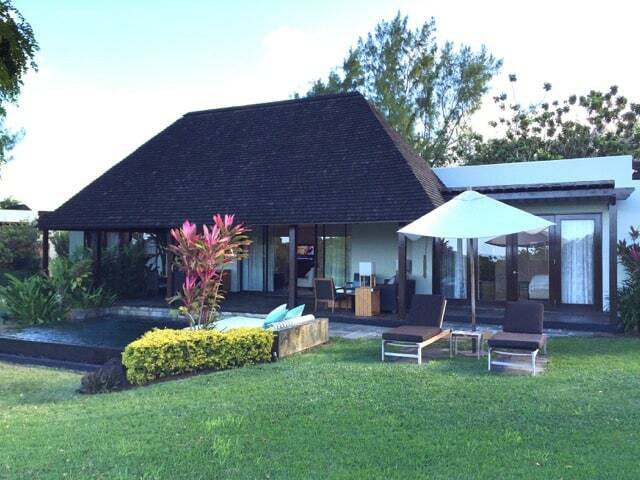 We soon arrived at my next accommodation: the Four Seasons Mauritius at Anahita. 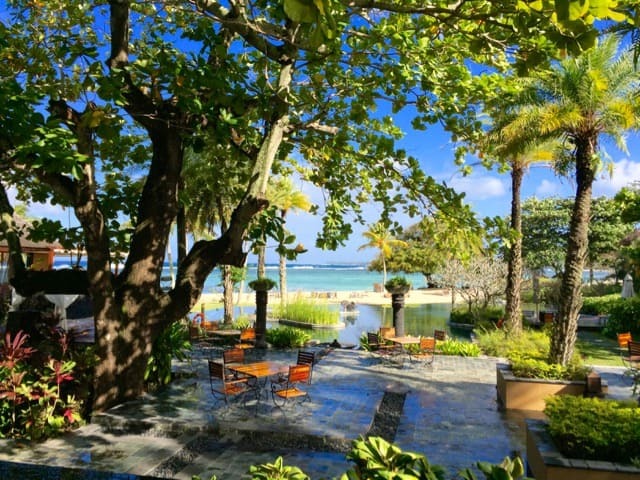 Widely recognised as one of the most luxurious resorts in Mauritius, the Four Seasons Mauritius is situated on a peninsula that juts into the lagoon. I gasped as I stepped into the three-bedroom Garden Residence villa I’d been booked into. It was HUGE, something that was not apparent from the outside. A large living and dining area opened out into an equally large patio with a plunge pool that seemed to spill out onto the massive lawn. There were three spacious bedrooms, each with a big en-suite bathroom (with a bath-tub and indoor and outdoor showers!) and walk-in closet. The villa measures a whopping 288 square meters with a further 1,150 square meters of outdoor space! My first thought: “OMG! I don’t want to ever leave this place!!!”. 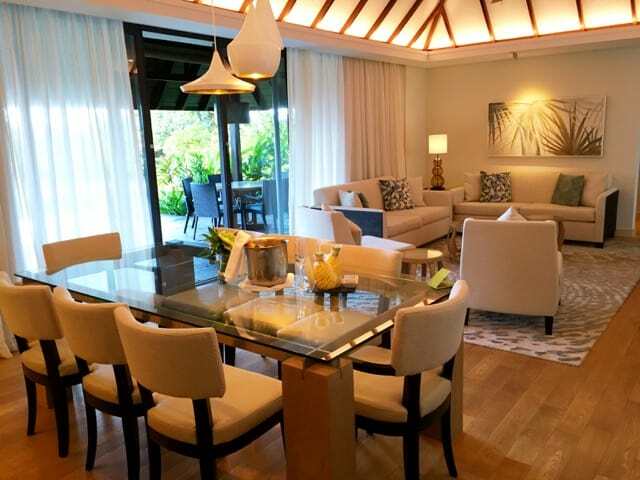 The three-bedroom Garden Residence villa. The living and dining area in the villa. I explored the villa and the gardens before heading for the Spa. Hehe! Needless to say, the spa treatment – in true Four Seasons style – was terrific! The treatment rooms have great view of the lagoon. In the evening, I was invited for dinner at the resort’s Beau Champ restaurant. It was an extraordinary experience in which Chef Nicolas wowed us with his culinary prowess. I especially loved how he created a Mauritian salad right before us with a pair of tweezers! Read about my stay at the Four Seasons Mauritius at Anahita. 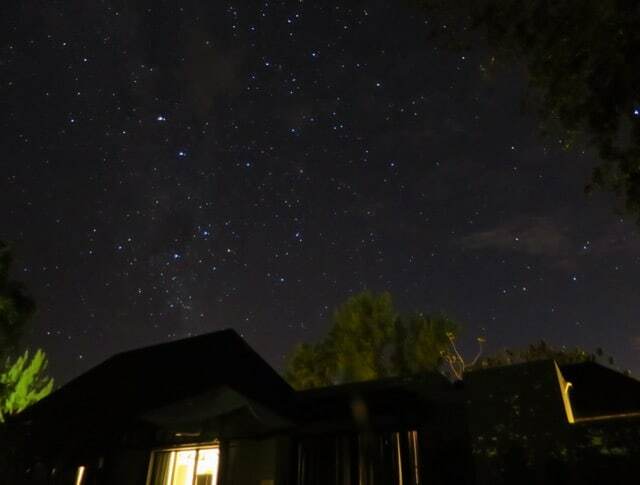 Gazing at the starry sky from the garden of the villa. This is Part 1 of a two-part series about my trip to Mauritius. Continue to Part 2. Read about things to do in Mauritius. Note: this post was brought to you as a result of the #MyMauritius blog trip, created and managed by iambassador in partnership with Create, AHRIM, Mauritius Tourism and Air Mauritius. As always, all opinions above are mine, and mine only. It really depends on what time of the year you go (low/high season). I can definitely recommend September when the weather is nice and it’s just before the peak season. It also depends on which hotels you choose and if you go for a package (many resorts offer attractive packages which include accommodation, meals and activities). If I were to make a rough estimate, a trip like the one I made, staying at these hotels plus tours cost around USD 10,000. This excludes flights. I hope this helps. Very nice. approximately how much money we need for this entire trip.